BESTRAIL GRUPP OÜ primary industry is construction of roads, forecourts and parking places. Mounting of paving stones and curbstone. Terrace. You get durable road or forecourt just from our firm. 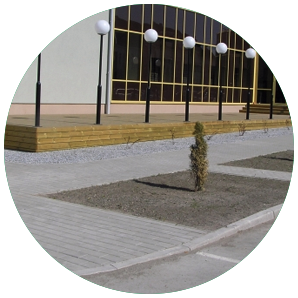 Into our laborious collective has bunched together working men with 10 year experiences on roadworks and paving stones setup, who´s work has favoured by a number of clients and thanks to this persist all what we have done year long. We have 2 years guarantee to all works what have made from us. Bestrail Grupp OÜ laborious collective!